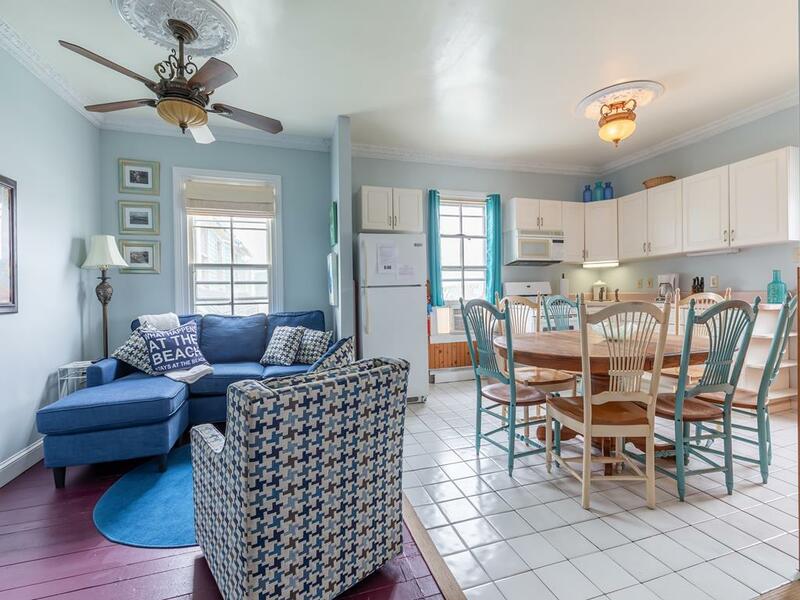 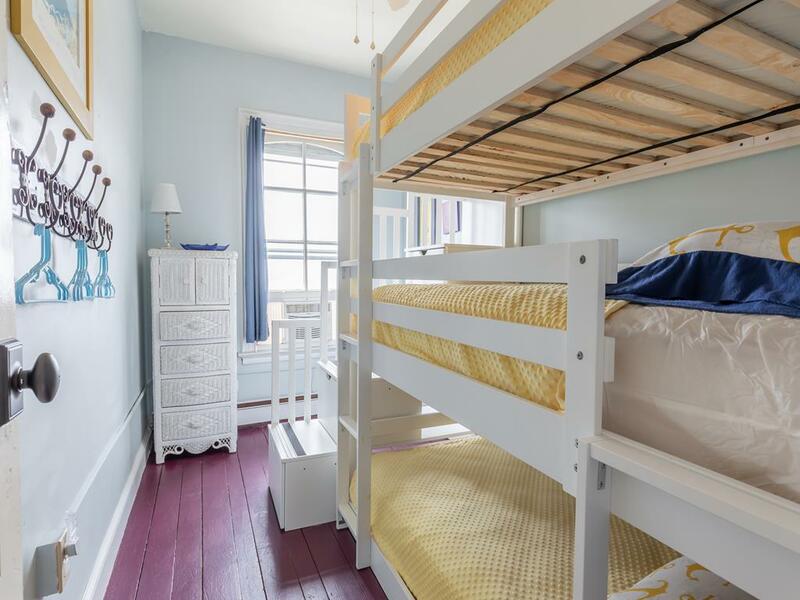 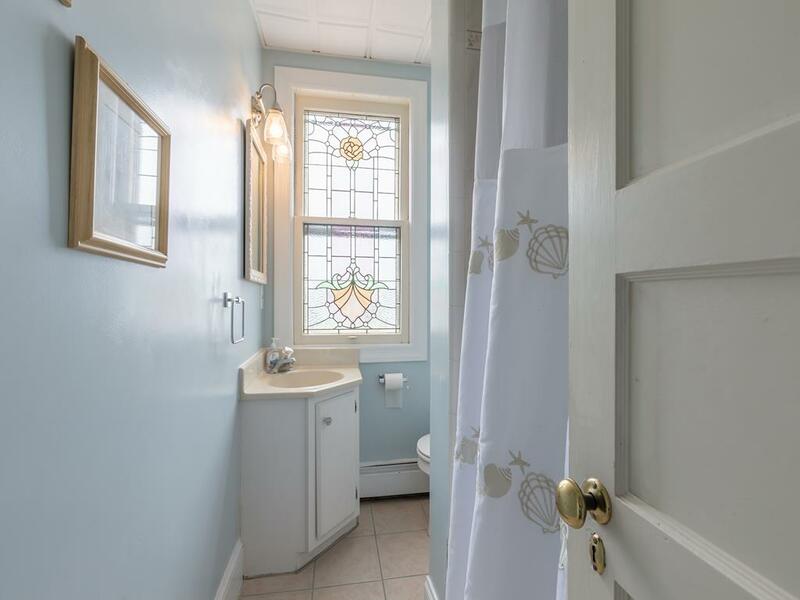 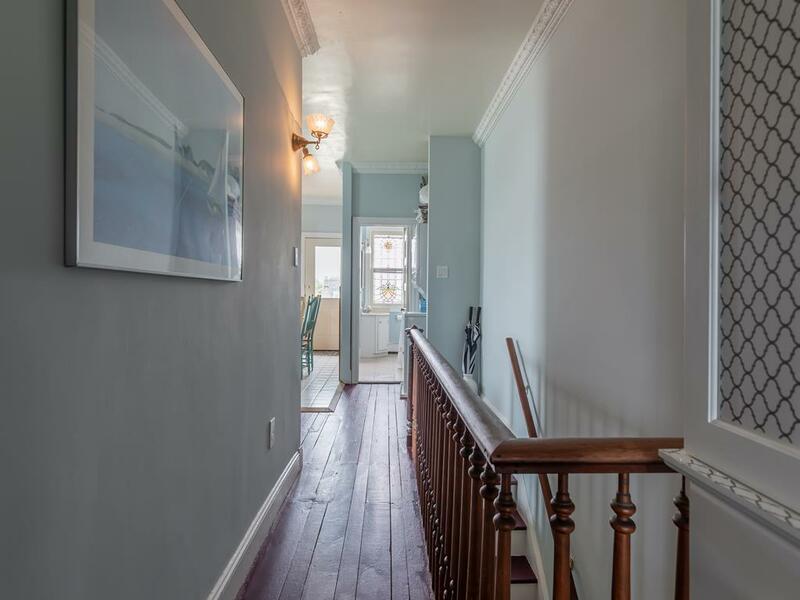 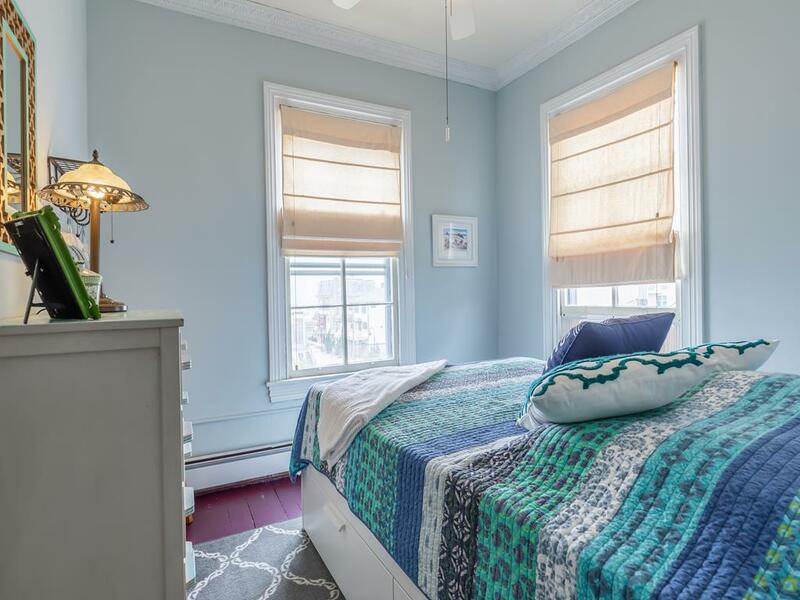 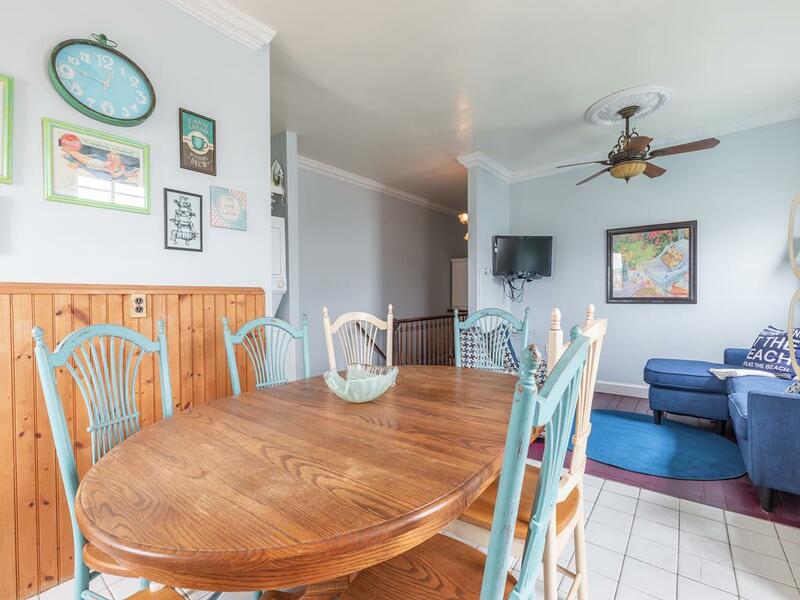 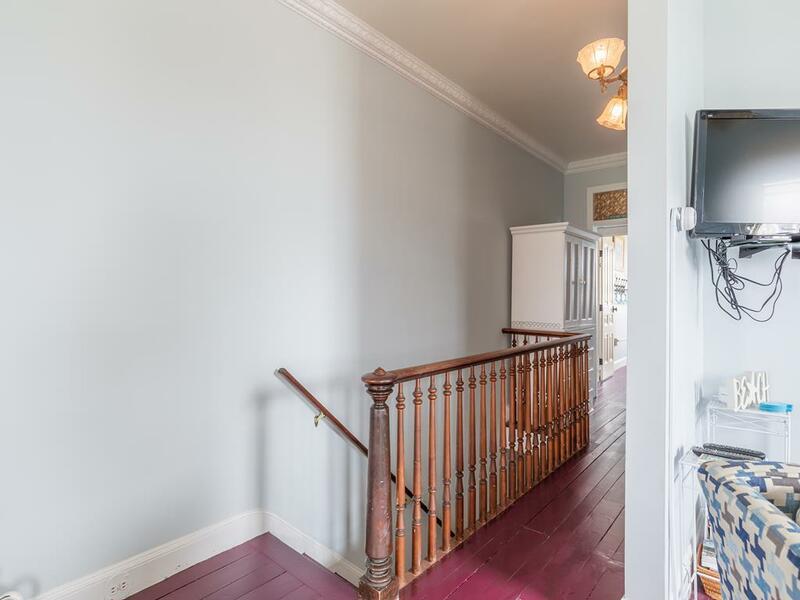 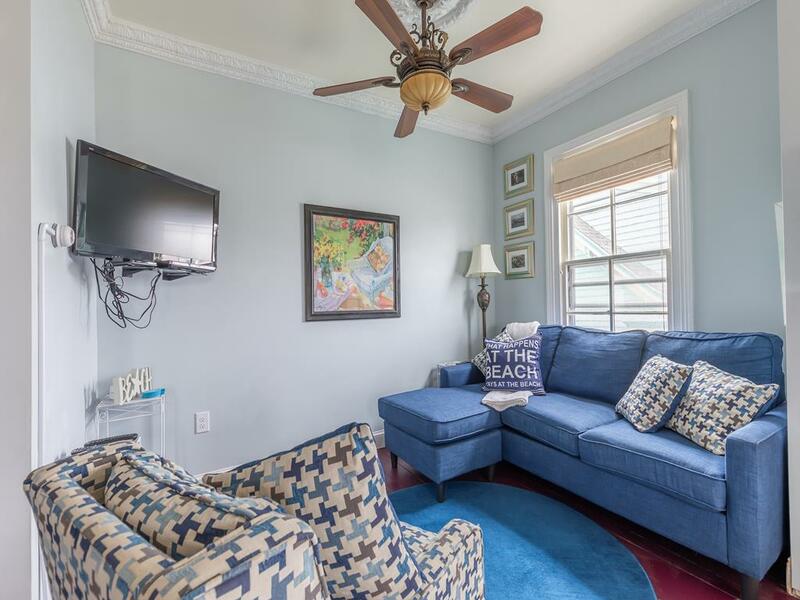 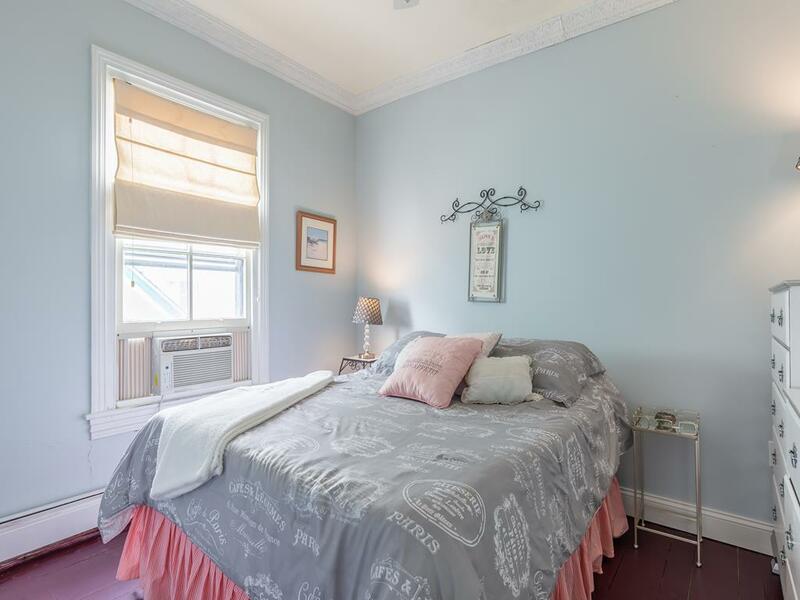 Steps to the beach, in the heart of the historic district, is this charming beach chic apartment. 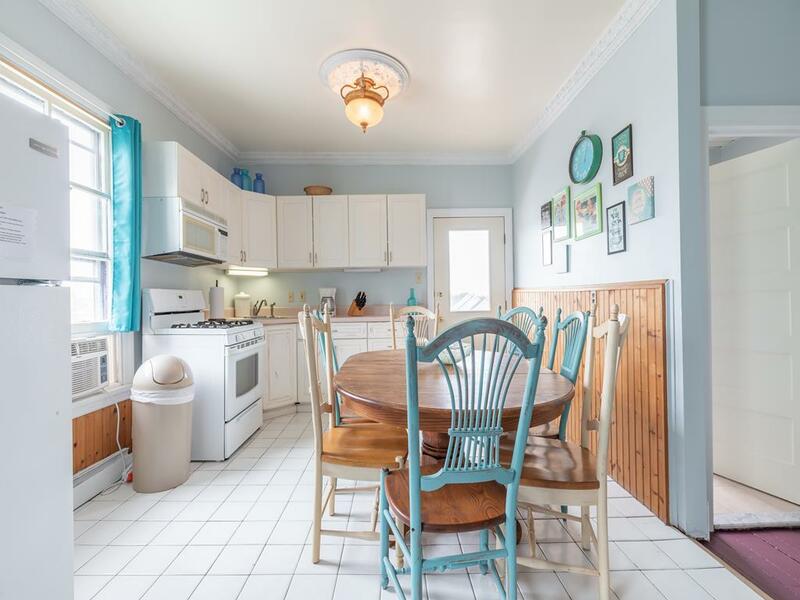 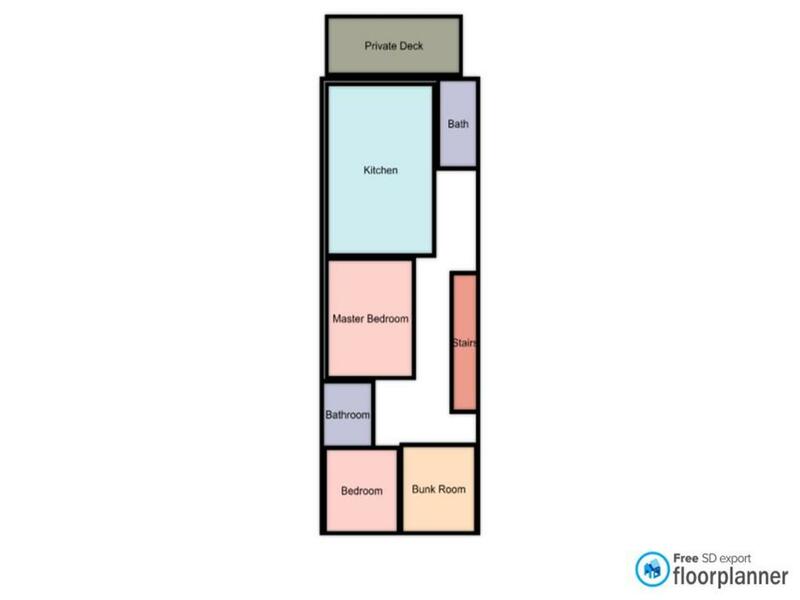 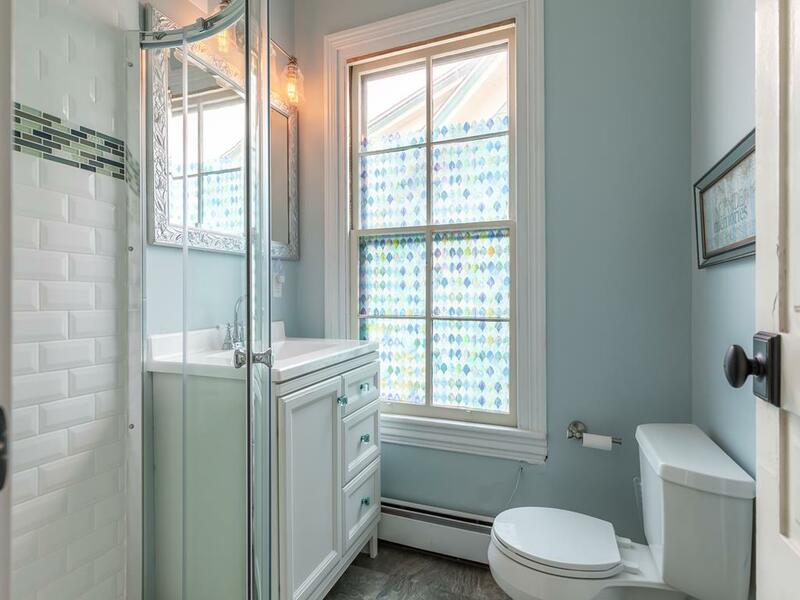 Three bedrooms, 2 bathrooms a full kitchen and comfy living room will delight all. 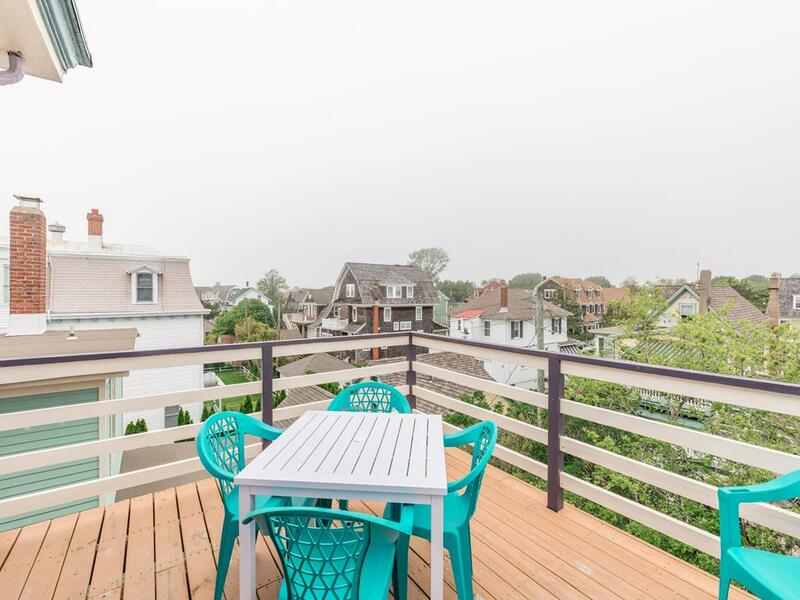 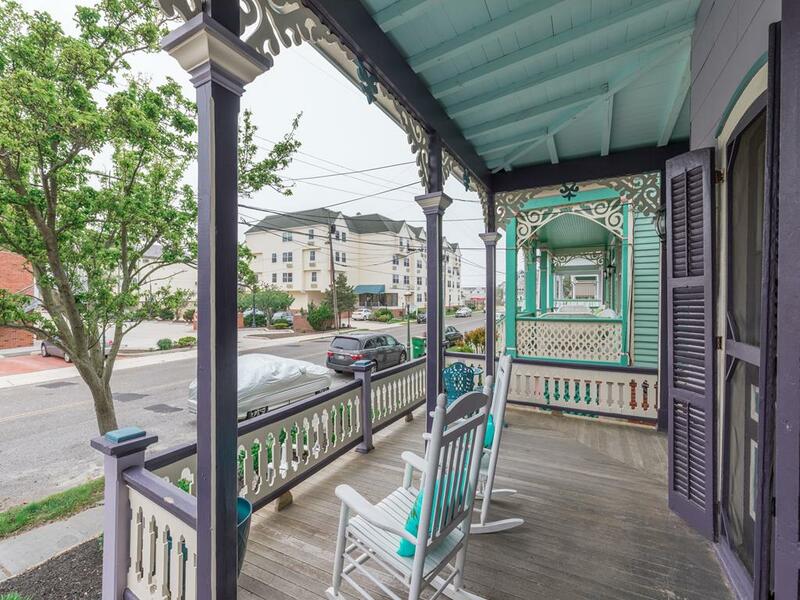 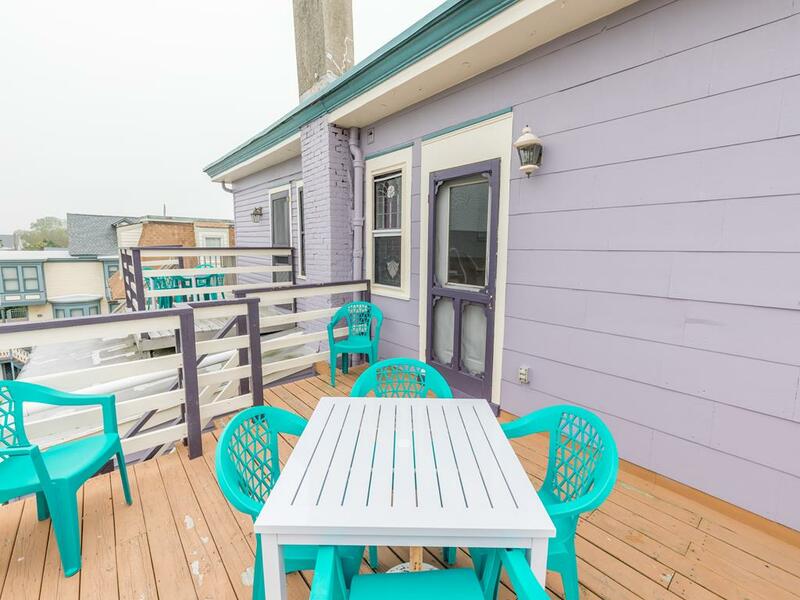 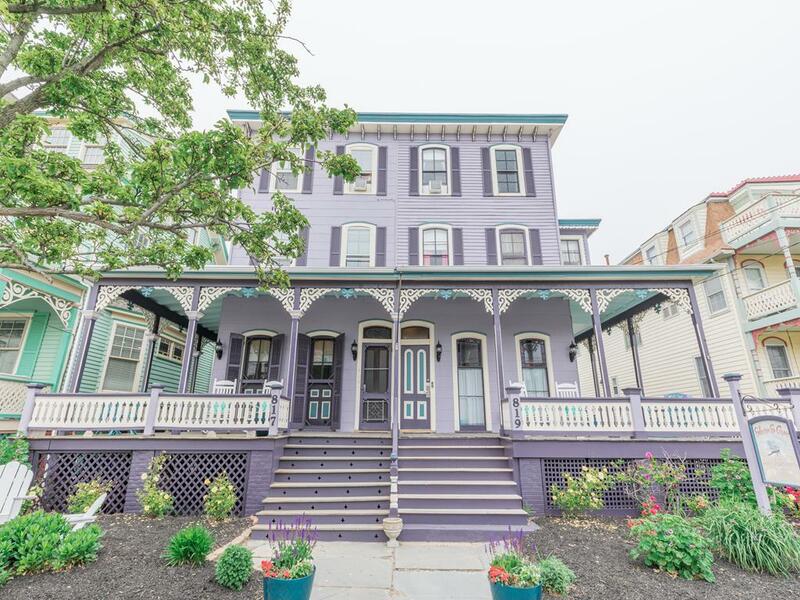 A private deck provides stunning views of the historic district and ocean while the front porch is an inviting space to relax and watch the trolleys and buggies go by. 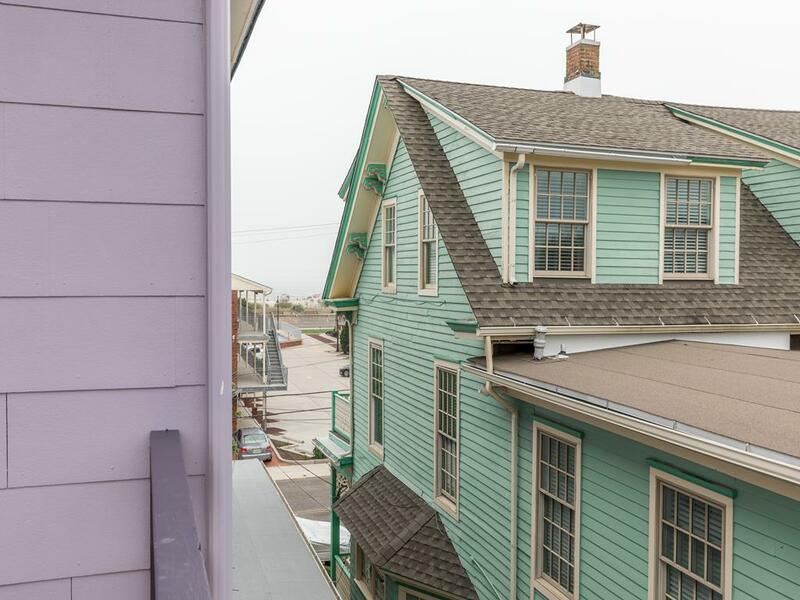 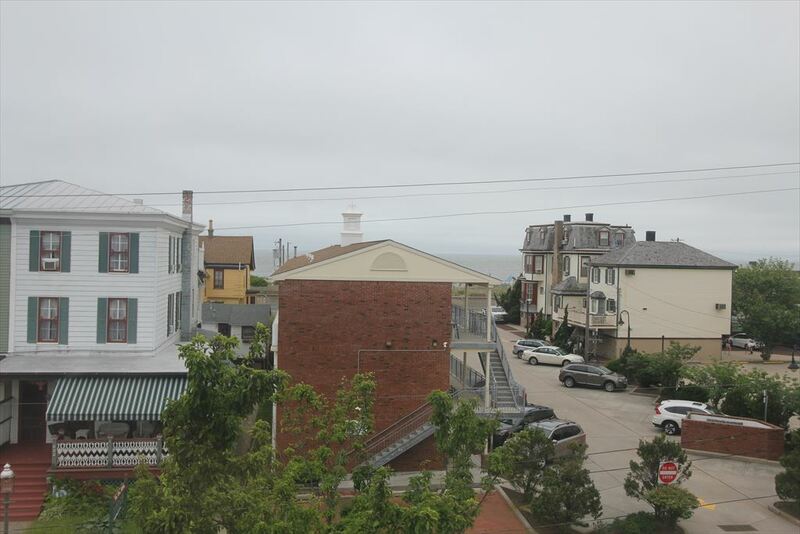 Park your car and walk to everything that Cape May has to offer.